The IDEAS Birmingham Team held their 2nd annual Etsy Made Local Event at the Custard Factory in December 2016. In true Etsy style, shoppers were treated to a wealth of unique handcrafted goods, lovely vintage finds and crafty supplies; all with the added bonus of being able to support a local small business. 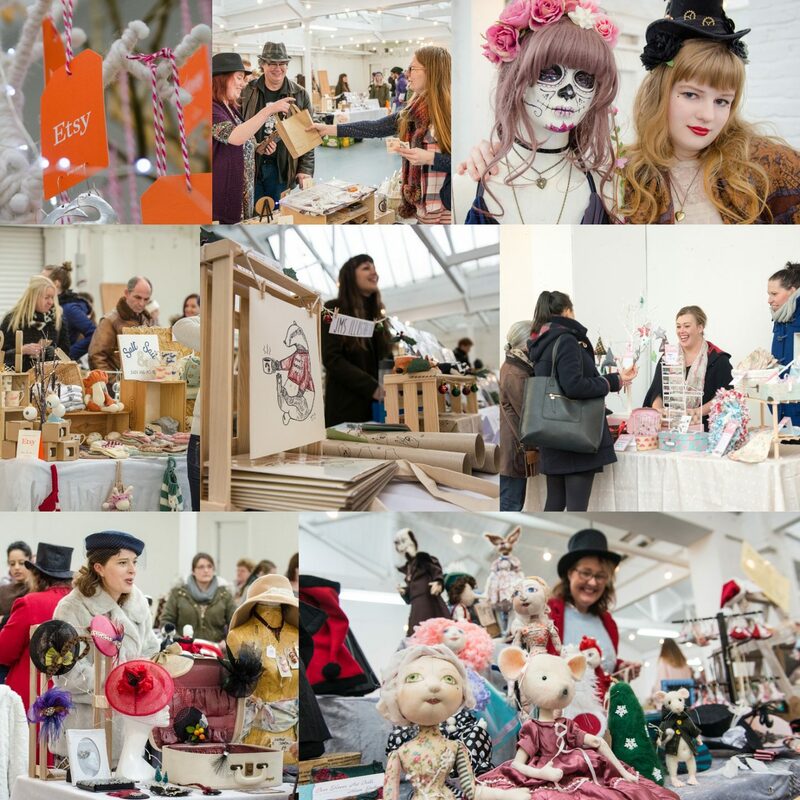 The two day event saw around 2,000 visitors and the feedback was so positive that we are delighted to be returning to the Custard Factory for our third Etsy Made Local – Birmingham on Friday 1st and Saturday 2nd December 2017. Get involved to help us to make it bigger and better this year- applications are now open! The deadline for applications is 23.59 on Monday 21st August when an independent committee will review the applications. We will send you a receipt for your application and be in touch after the deadline. If you are not already an Etsy seller, but you are a local sole trader/small business offering either your own handmade items, vintage goods or arts and crafts supplies you can join Etsy and receive 20 listings absolutely free by visiting https://www.etsy.com/promotions and entering the code: ETSYMADELOCALUK2017 in the box on the left of the page.